Not every player at Euro 2016 has covered themselves in glory, with many experiencing a bitterly difficult time in France this summer. Unsurprisingly, the majority of the worst XI is dominated by England players, who were held to draws against Russia and Slovakia in the group stage before crashing out of the tournament in the last-16 to Iceland. Although many of them flopped on the big stage again, they are joined by a handful of other individuals who were less than impressive for their respective nations. Two big mistakes, the latter proving costly against Iceland. Considering he’s meant to offer assurances and security in goal, it was a tournament to forget for the Manchester City shot-stopper. Sent off in the first game which subsequently meant he missed his side’s game against Portugal, he wrapped up a miserable tournament with a missed penalty against Iceland. Russia ended their tournament with just one point from their three group games. Part of the issue was their inability to keep things tight at the back, something for which the veteran is responsible for. The entire Ukraine squad will want to move on from Euro 2016 as quick as possible as they left the tournament as the only team not to claim a single point. Shevchuk was a big part of that problem. In his defence, he probably should never have even been in France given his fitness and injury woes last season. However, he was picked, played and struggled badly. Plenty of expectations on his shoulders, and although he did relatively well, it wasn’t anywhere near enough to what his team needed from him. Booed by his own fans against Spain, it was a torrid tournament for the Turkey captain. Seen as one of his side’s most influential stars, failed to deliver. 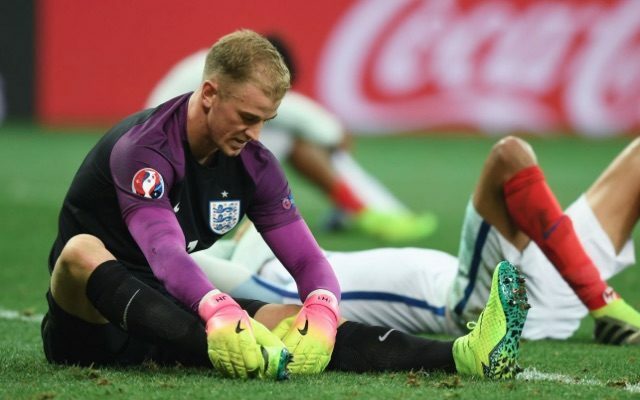 Given plenty of chances by Hodgson, he was disappointing throughout the tournament. Lack of clinical play in the final third was a big issue for England. Lost count of the missed chances in the first game of the tournament alone, and it didn’t get much better thereafter. Did better on the left flank against Albania, but still, poor showing. His last contribution to the Swedish national team as a player having now announced his retirement, Ibrahimovic failed to deliver. A disappointing way to bow out. Having scored 25 Premier League goals last season, the Tottenham striker was expected to help fire England to glory. Woefully off the mark throughout, and will now need to repair the damage along with many of his teammates.